91Pts-ST - The wine is complex, showing blackcurrants, spice, ripe plums and attractive wood aromas and flavours. It is full and rich with prominent tannns that bodes well for future ageing. The wine is complex, showing blackcurrants, spice, ripe plums and attractive wood aromas and flavours. It is full with firm, ripe tannins leading to a lingering aftertaste. 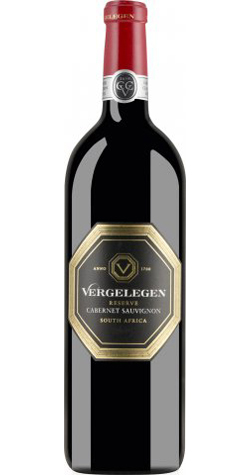 Mostly made from younger, virus free blocks at Vergelegen, this is further proof of André van Rensburg’s touch with red and white Bordeaux varieties. When Willem Adriaan succeeded his father, Simon van der Stel, as governor of the Cape in 1700, it didn't take long before he claimed a modest 30,000-hectare piece of land for himself just as his father had done in his time at Constantia. It took three days by ox-wagon to reach Willem Adriaan's farm on the slopes of the Hottentots Holland mountain range overlooking the Atlantic Ocean; hence its name 'Vergelegen', meaning 'situated far away'.